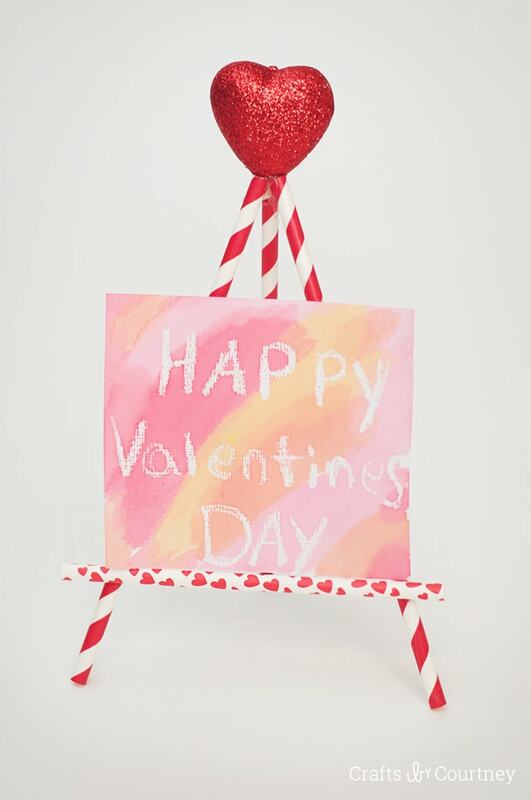 This Valentine’s Day decorative paper straw easel and darling crayon resist watercolor art would make the perfect takeaway for any kids Valentine’s party! 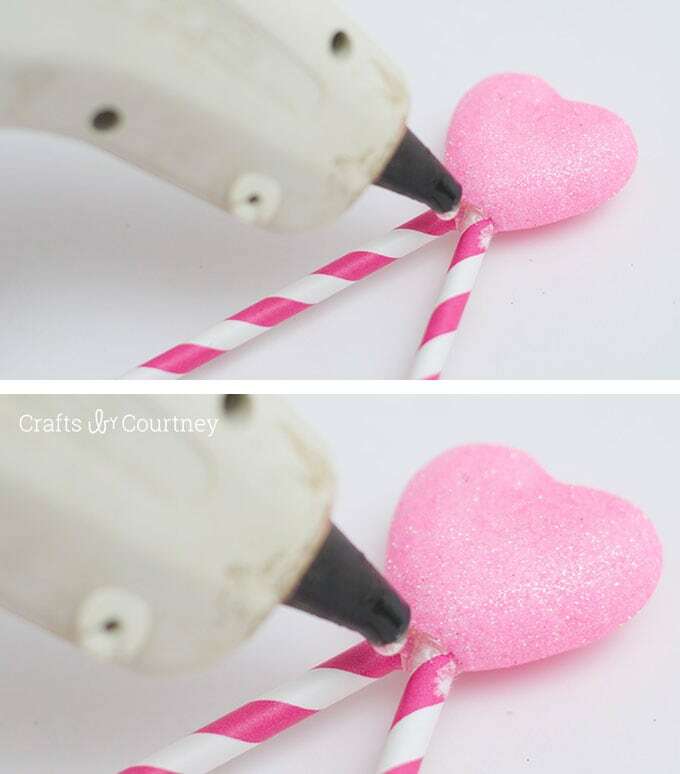 Get the how-to below from Crafts by Courtney! 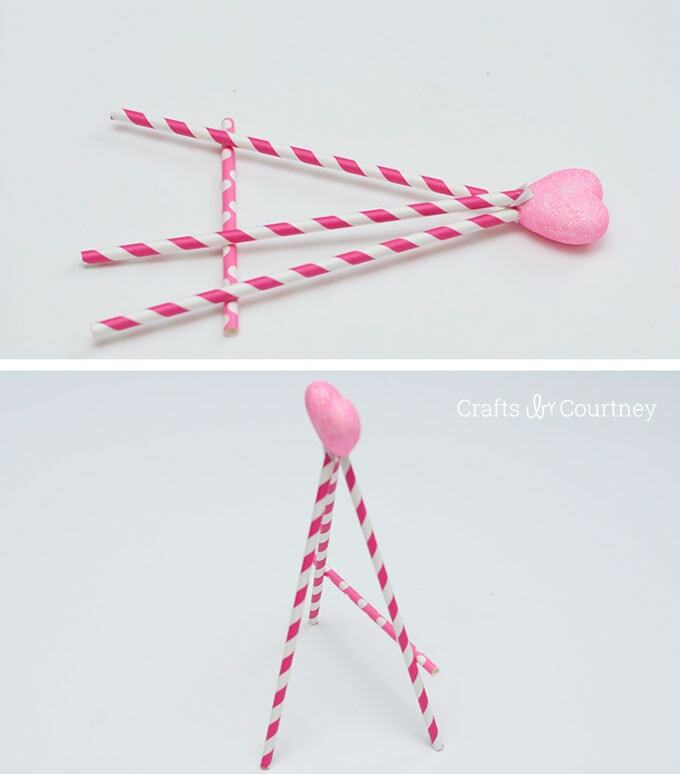 Hey everybody, it’s Courtney from Crafts by Courtney and I’m back with a NEW paper straw craft idea for the kiddos! Then all of the sudden I remember I pinned these awesome place card paper straw easels to my Pinterest board. I loved the idea, and thought I could give it a Valentine’s spin and make ’em a bit bigger. PLUS our paper straw easel is going to be foldable. That’s right, it fold’s flat. It’s a perfect takeaway for any kids Valentine’s Day party. 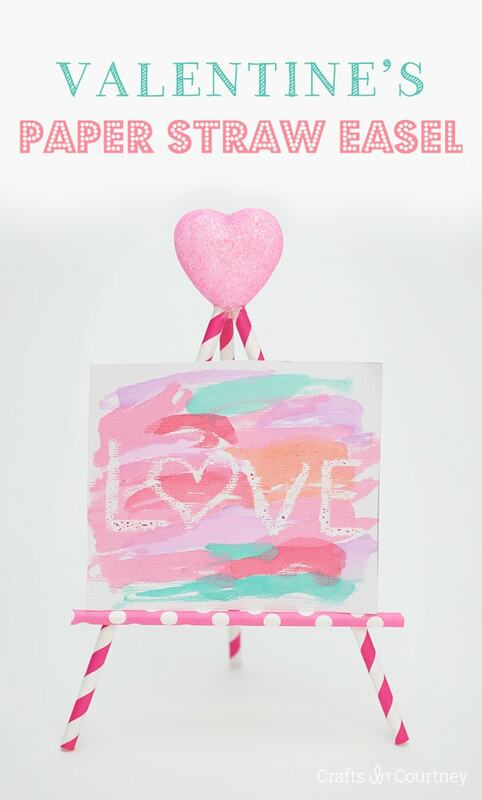 This would be a perfect craft for the kids to make and display a sweet Valentine’s message to someone special. What a great craft to give a parent or grandparent, don’t you think so?! I love making memorable crafts with my kids to give to the family. I have a TON of paper straws, so I rounded up all my Valentine-y colors, foam hearts (I got from the Dollar Tree) and the rest of my supplies. This is gonna’ be a sweet craft. To make the front of our easel, hot glue the top ends of 2 straws together (at a 45 degree angle). Then, hot glue another paper straw to the top of the 2 straws (about 2 inches from the bottom). 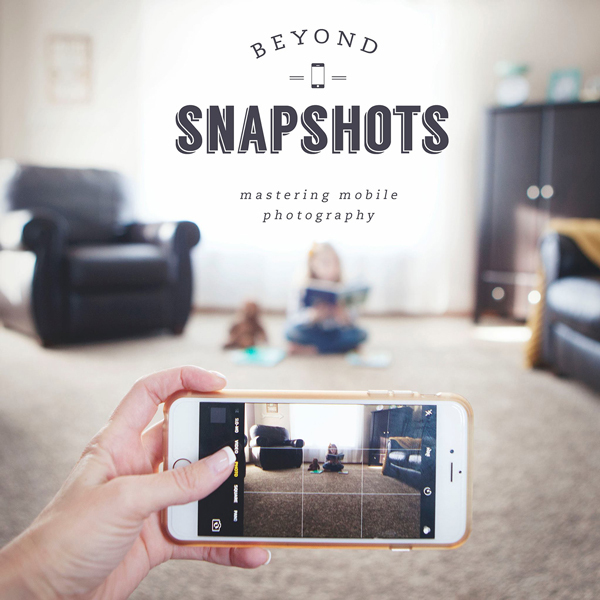 Ready to put your heart into this craft? 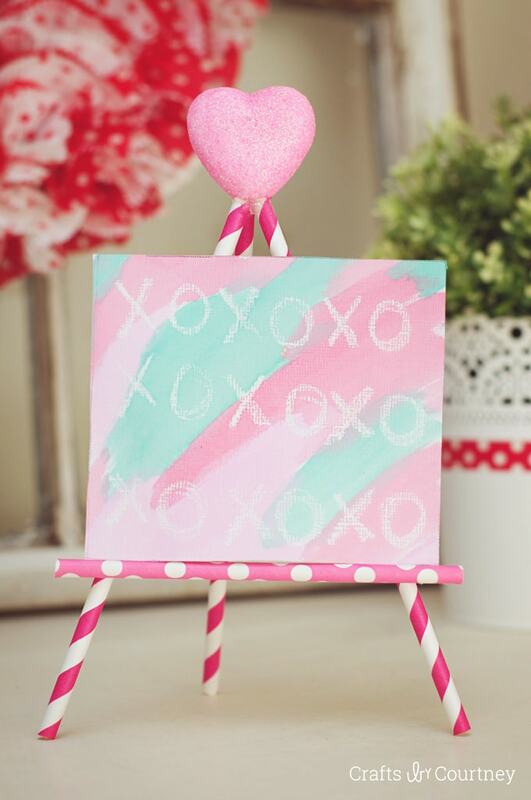 Or should I say, “onto this craft.” For this step, just hot glue your foam heart to the top of the easel. Hold in place for 15 – 20 seconds. Remember how I said our easel will be foldable, well here’s the step that’s going to make it happen! 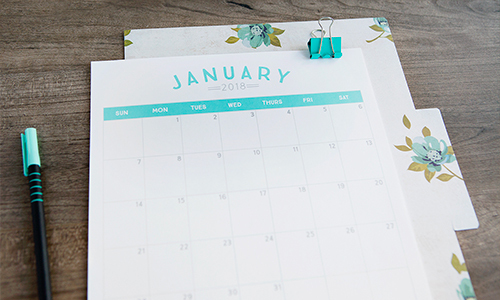 First, cut your cardstock into a thin rectangle (about 1 inch long by 1/4 inch wide) and fold it in half. Next, hot glue one side to the back of your easel. Now, take a straw and cut the tip at a 45 degree angle. 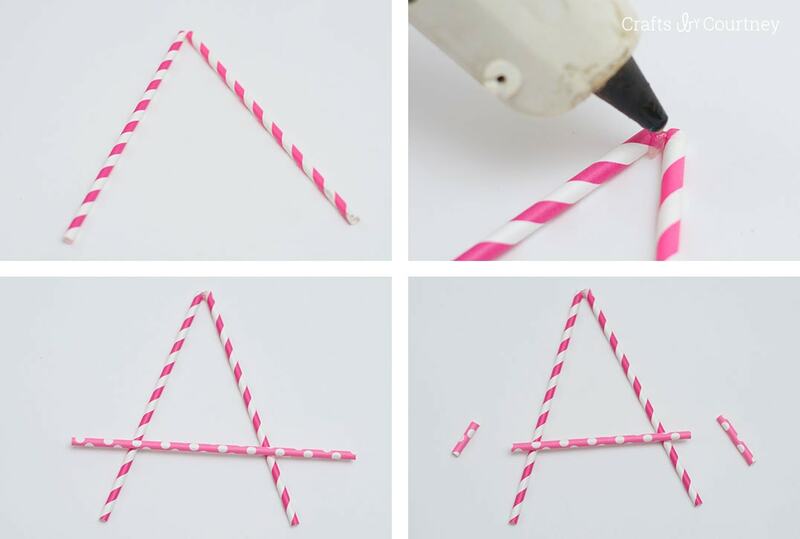 Finally, hot glue the cut end of your straw to other half of your cardstock. Quick Tip: When hot gluing your straw to your hinge, be sure to add glue with the hinge open. Otherwise it will be stuck. To make sure your hinge is working, make sure it folds down flat. Also, make sure it can stand with no problems too. Okay, so our easel works. Yay! Now the kids can make whatever colorful art suits them best! I went with crayon resist watercolor art for my boys. I love it because it’s simple and beautiful. The perfect combination. With our easel made and artwork done, let’s put it all together! I love colorful art since I can mix-n-match the artwork and easels with no prob! Take a look at our finished craft. 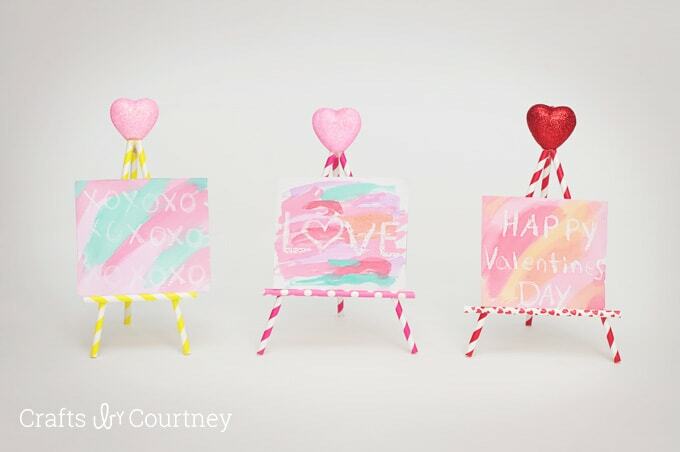 I think these paper straw easels turned out beautiful…I don’t know which one is my favorite. So there we have it. 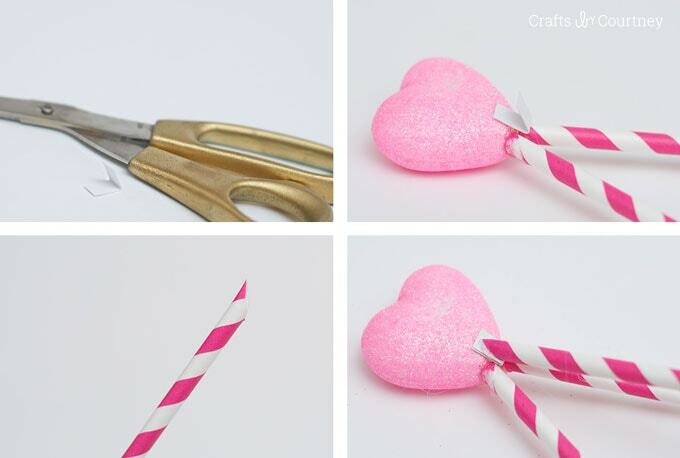 Another fun paper straw craft for your little ones. I really hope you LOVE them as much as I do. 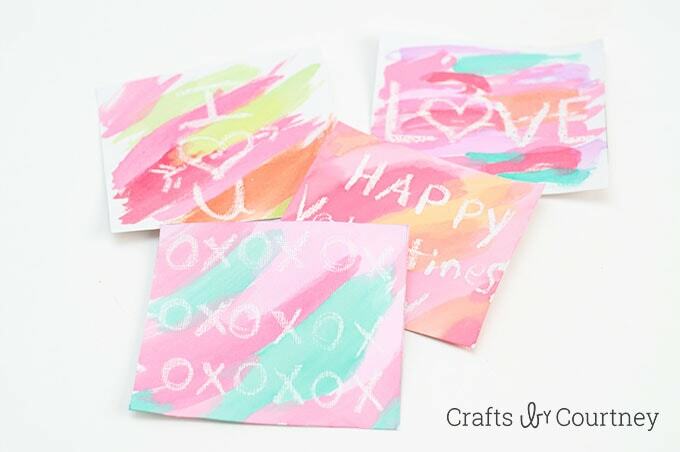 If you want a few more Valentine’s Day crafts? Check these out! Do the kids want to give cards for Valentine’s Day? 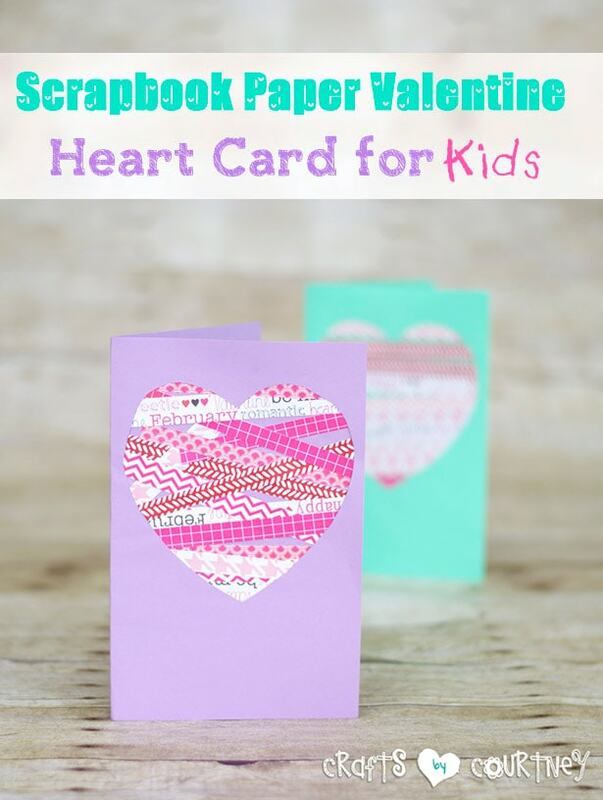 Why not make a few of my scrapbook paper Valentine’s heart cards!? They’re thoughtful AND handmade. Grandparents will love it! 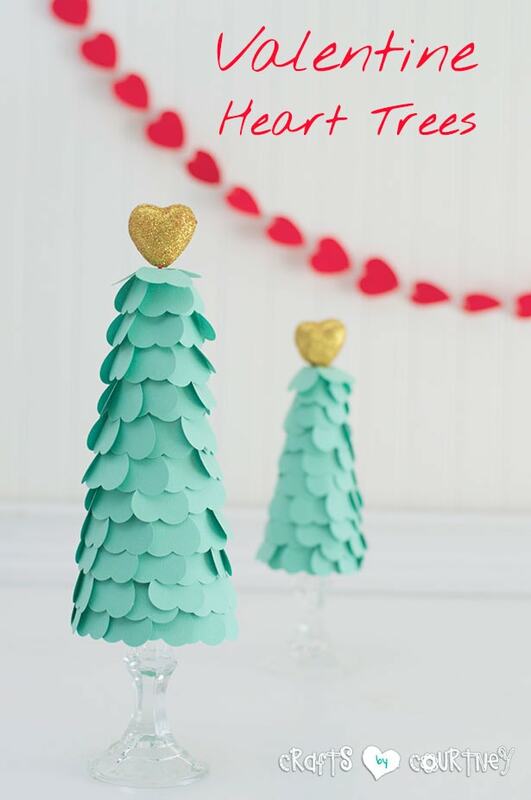 I made these cute Valentine’s Day heart trees last year, but they’re still one of my MOST popular crafts. Maybe it’s the untraditional colors!? I love them! 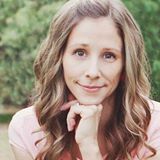 Thank you for taking the time read my post. I truly enjoy sharing my craft ideas with everyone. And thanks again to Rebecca for inviting me to share another fun paper straw craft. I had a great time and loved making it! 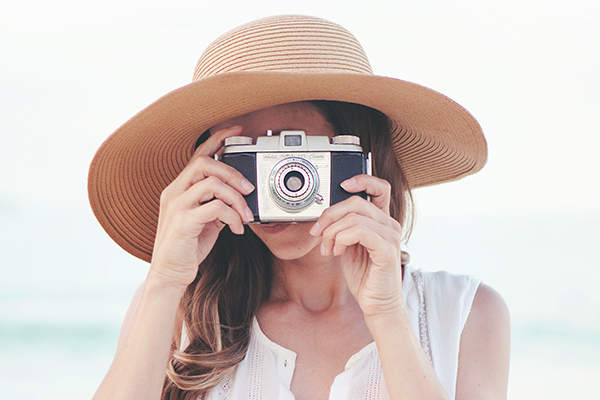 If you want to get even more craft ideas, be sure to sign up for my newsletter! It’s the best of what I make. Wanna’ keep up with all my craftiness, follow me! This is darling! 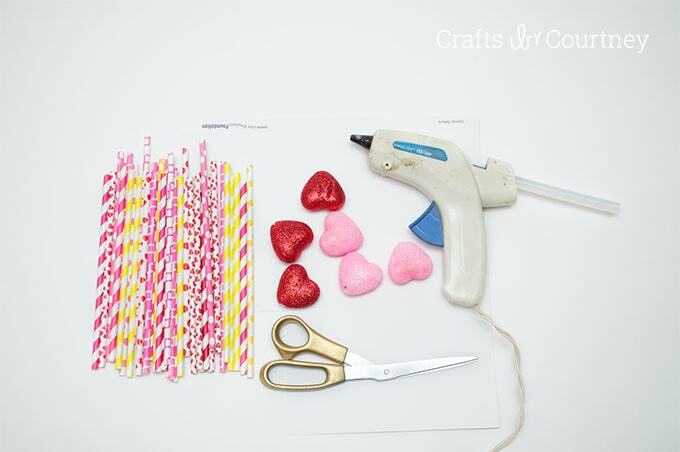 What a great idea for the kids to make this Valentine’s Day! Thanks for sharing!